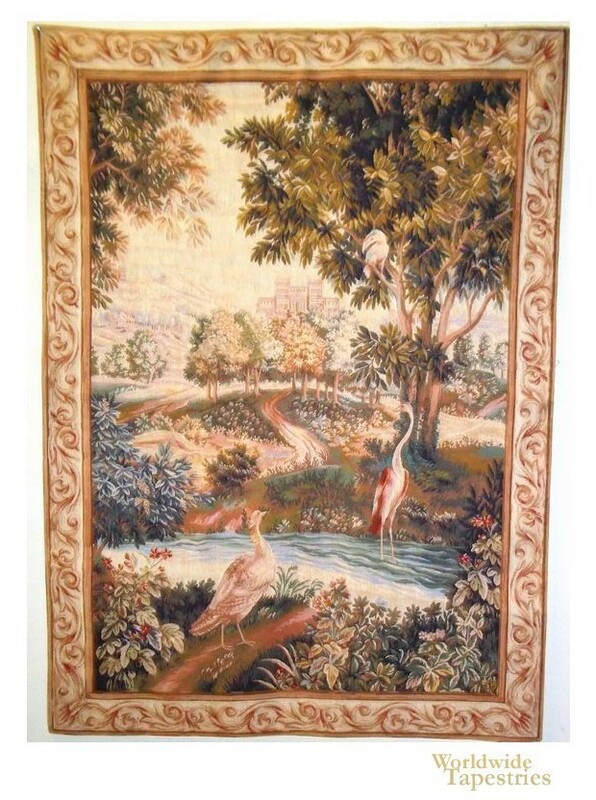 Here in Forest Retreat tapestry, we see a countryside scene with storks, and toucans, with a distant castle. This French landscape tapestry shows the glorious verdure with the countryside foliage and flowers depicted beautifully. A stream is seen, where storks are seen leading to the landscape beyond of tree groves, a winding path, and a distant castle in the distance. This French tapestry "Forest Retreat" is backed with a lining and has a tunnel for easy hanging. Dimensions: W 43" x H 60"